With Christmas behind us, it’s time to start thinking about what should be done with your home’s Christmas tree. As beautiful as our trees are, they simply aren’t intended to be left in the house year round! While there are a number of fun projects that can transform you tree into a fish feeder, bird feeder or decorative, outdoor element, the vast majority of people simply want to recycle their tree. In today’s post, we’re going to give you a few options for recycling your tree and, hopefully, ease your mind and allow you to fully enjoy your post-Christmas relaxation. 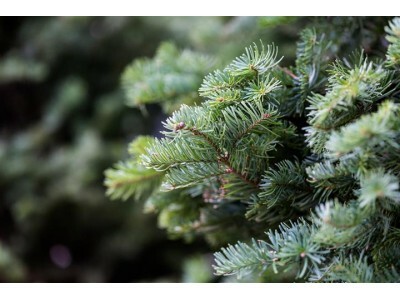 Many hardware stores – including Home Depot and Lowe’s – offer free Christmas tree recycling. All you need to do is remove your ornaments and drop your tree off. From there, the store will turn them into nutrient-rich mulch, allowing them to serve a purpose long after the holiday season has passed! Many cities offer curbside pickup in the weeks following Christmas. To take advantage of this, you simply need to clean the tree, cut it into small (usually 4 foot) segments and leave it beside your trash for collection. In many cases, smaller trees can even be cut into smaller segments so that they can be placed directly into your recycling bin. At Premium Christmas Wreaths, we offer fresh Christmas trees delivered right to your doorstep. Once the season is over, we hope that all of our customers look back fondly on the time that our trees spent in their homes. And, when the time comes, we also hope that they choose to dispose of their tree responsibly. If you’re already looking forward to next year – we know we are! – don’t forget to bookmark our site and check out the trees, wreaths and greens that we’ll be offering for Christmas 2017!